Hon. Secretary: Miss M. J. Barker. Hon. Treasurer: Mr J. Barker. 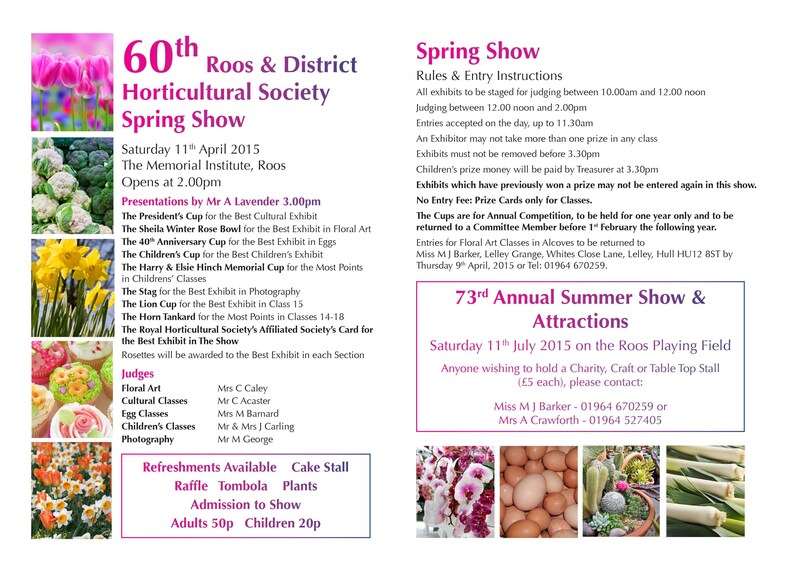 The origins of Roos and District Horticultural Society can be traced back to 1940. The first Show being held in 1943. A feature article published in The Rooster No 212 March 2013 describes much of the early days and outlines some of the key developments which have led to its increasing success since that time.